I have ever posted about new Blogger dashboard redesigned. Now you can enjoy this Blogger makeover. Blogger have passed many interface design. And the latest design, simple, shiny, clean look. New interface offers a streamlined blogging experience. You also can monitor and grow your audience at a glance. 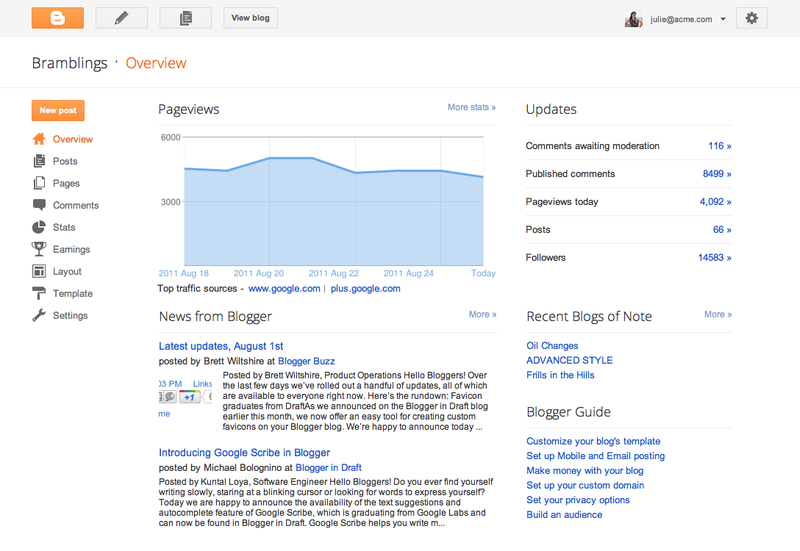 You'll be able view your blog stats including popular post, traffic sources, etc. 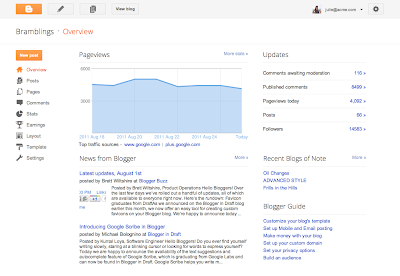 Login to your Blogger dashboard and find new interface option. Click on the link to activate it. Blogger will gradually let all bloggers choose to turn on the new UI, so your Blogger experience won’t be updated until you enable it. Over the next few days, keep an eye out for a pop-up announcement on your dashboard with instructions on how to get started, and check out this Blogger Help Center page to learn more about what’s changed. I was tried it. Comfortable. i was try.. but in my site eror.. why? i use new dashboard, so far i like it. Good new template for blogger. Its somewhat difficult but all over good one. pandora bracelets along with expensive jewelry are usually pandora bracelets canada the far more well-known charm jewellery pandora charms cheap within the industry these days. piece of pandora jewelry ones own lure could be the capability to mix and match these pandora bracelets sale coupled with spacers, to possess a quite a lot of visual appeal when it comes to various pandora bracelets parties. i wonder if you have more info about how to modify the entire dash board! I can definitely use this on my fashion sites. Beautiful templates. Dash Bord blogger so very nice and interesting blogger so that can be know that and able to understand regarding post. It is very interesting and enjoyable blogger shared on the site. Keep an eye out for a pop-up announcement on your dashboard with instructions on how to get started, and check out this Blogger Help Center page to learn more about what’s changed. In this blogger so very nice and interesting blogger shared on the site because it is very fantastic and enjoyable blogger and useful also.